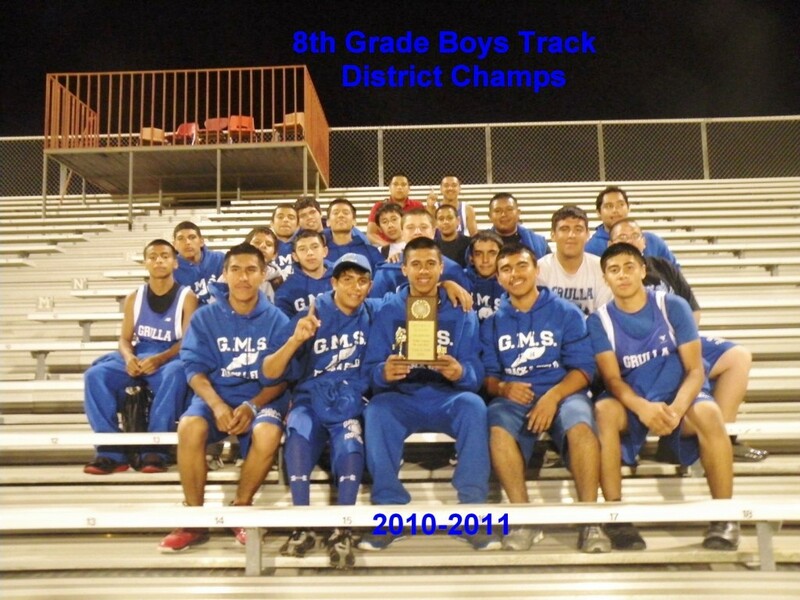 Grulla Cranes 8th Grade Boys Track named District Champions! The team members are pictured left to right are; Front row- Saul Sanchez, Noe Vera, Eddie Anzaldua, Juan Cantu, and Desse Zarate. 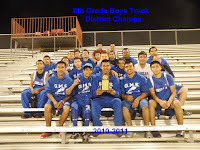 Second Row- Jose Salas, Jaime Jaramillo, Leo Tanguma, Mark Salinas, Ezequiel Alaniz, Aaron Barrera, and Leeroy Canales. Third Row- Ilmar Diaz, Sammy Posada, Gerardo Roldan, Miguel Flores, Daniel Rios, and Joe Alaniz. Top Row- Octavio Alaniz, Christopher Flores, and Troy Trillayes. Not pictured: David Moreno. GMS would like to thank the parents, community, school, administration, staff, RGCCISD transportation department, athletic department, maintenance department, and everyone in the district that helped and supported Crane Nation throughout the season.